There’s No Place Like Home… New Shoes, a Day with Mum & Harry Potter Filming locations! One of the many things that I have struggled with this year has been living so far away from my family. Some of you may know that in August of last year I moved away from Wiltshire to live in Manchester City Centre with my boyfriend Jordan and as much as I love him and really like where we are living, I have been really struggling with home sickness and being away from everybody else. There’s definitely no place like home and for me, being in Wiltshire is where I am usually at my happiest. This weekend I’ve been back home for a couple of days to spend some time with my parents and enjoy the country air and it’s done me the world of good. I feel refreshed and ready to tackle my life back in Manchester once again (or at least for another couple of weeks before I crave home once more). 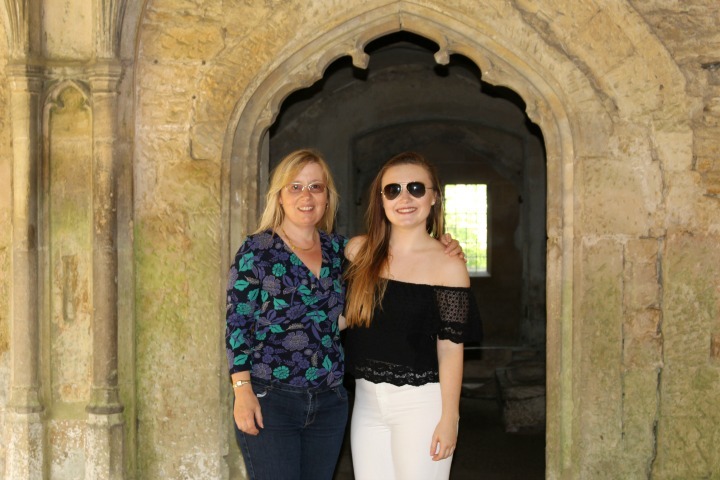 On Saturday, my Mum and I decided to go for a walk around Lacock Abbey; believe it or not, I’ve never actually done this despite living practically next door to it for 20 years of my life. However, now I have officially been granted Granny status by joining the National Trust, it seemed like the perfect time to get out for the day with my Mum and enjoy some time together. 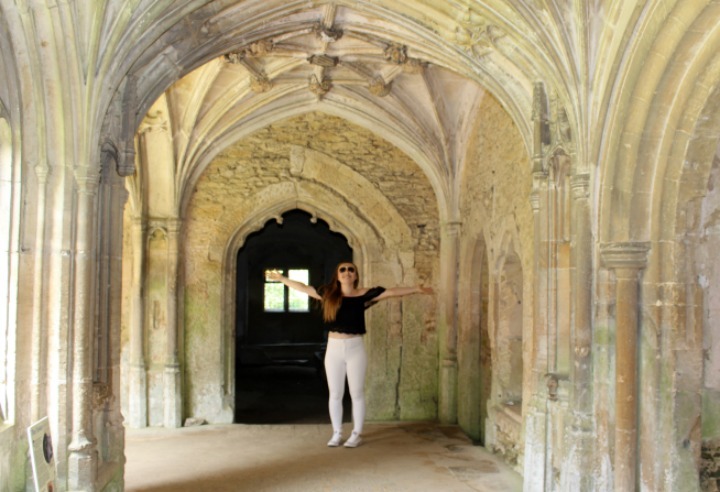 I was also so excited to go around and see where Harry Potter was filmed, something I saw around the village when I was younger, but it’s so cool to see the inside locations! As you can tell from the photos above, I got really excited about this and ended up jumping around in excitement. 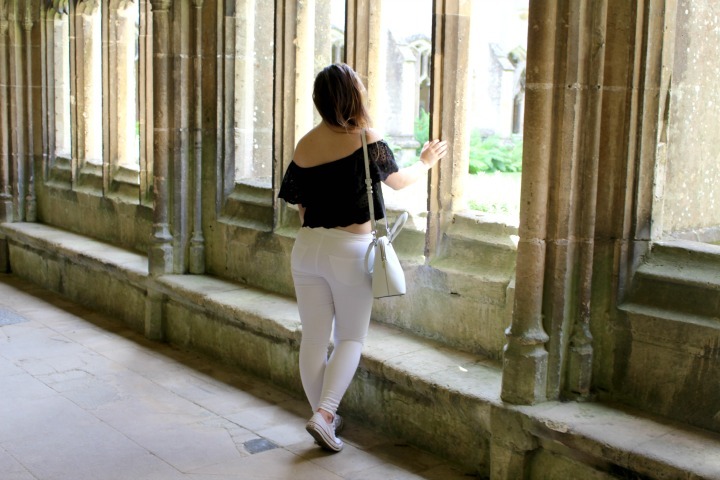 Lacock Abbey is such a beautiful place and I’m so glad it was a gorgeous sunny day when we walked around! My outfit for the day (or OOTD) was this cute look including my absolute favourite white Joni Jeans from Topshop. I very rarely brave the white as I am just the messiest person ever, but I took the risk on Saturday and couldn’t be happier with how my outfit turned out! I paired my Joni’s with this gorgeous Off the Shoulder Top from New Look in Black to contrast my colours a little and because I have just been obsessed with the whole bardot style this season! My bag is from Michael Kors and my jewellery is all from Tiffany and Pandora; I have absolutely been loving the simple silver chain detailing recently and these pieces are all so special to me so it means even more to be wearing them every day. 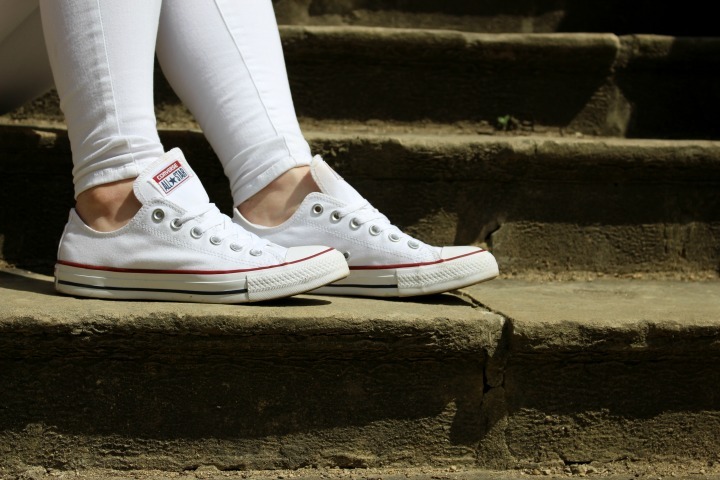 Last but not least my shoes are the Converse All Star OX in White which I have wanted for so long and finally managed to get my hands on thanks to Size?, they are absolutely perfect for a casual look and are so pretty with my white Joni’s too!